Not sure which Drum pump you need? Use our Drum Pump Selector Tool to find out! 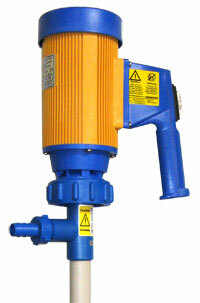 Global Pumps offers a complete line of drum pumps for Australian and New Zealand industries. 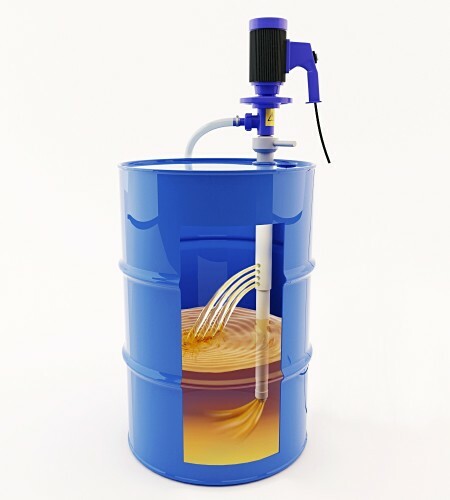 These lightweight pumps, also referred to as barrel and container pumps, can transfer all types of liquids, regardless of their viscosity or corrosiveness. 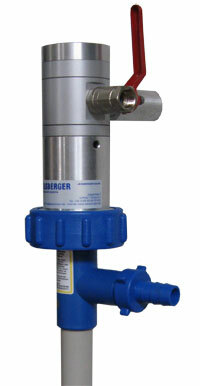 This range includes eccentric screw pumps to transfer liquids up to 100,000 cP. 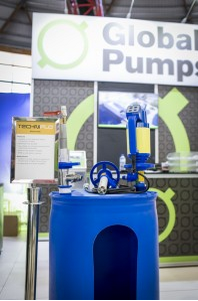 Techniflo pumps are portable, and are particularly well adapted for intermittent operation. These pumps are ultramodern, incorporating design features to keep operation both simple and reliable. The range of pumps are designed to be completely interchangeable, each motor can be combined with the complete range of pump tubes, both pneumatic and electric. 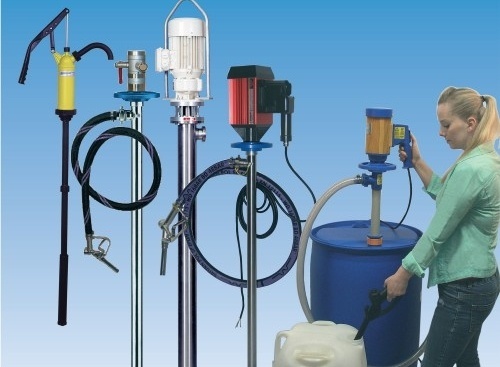 The Techniflo Drum Pumps come in a wide variety of materials of construction such as polypropylene, PVDF, 316 Stainless Steel and aluminium and can be fitted with a combination of highly efficient 240 V electric or compressed air motors to suit most chemicals and acids. 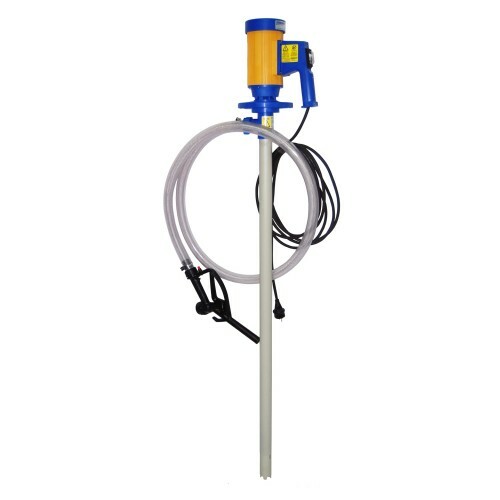 The 200 Litre Barrel Pumps are available in 1000 mm long pump tube to fully empty the barrel. The IBC Pumps are available in 1200 mm long pump tube to fully empty the IBC or otherwise known as Intermediate Bulk Container. 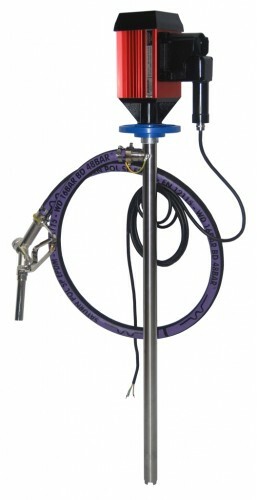 The 44 Gallon Pumps are available in 1000 mm long pump tube to fully decanter any drum. Pumps that can mix the drum before discharging. Ideal for pumping liquids that have a tendency to separate. All these pumps coming in different materials to be compatible for different chemicals and acids. Contact us today about our premium quality drum pumps for sale, or check out our other great products including magnetic drive pumps, air diaphragm pumps, and chemical pumps. and a wide range of other liquids. Can I use the same pump to decant from 200 L drums and IBCs? Yes you can. We would supply a 1200 mm long spear, so you can fully decant the IBC but when you use the pump on the 200 L drums, it would just be 200 mm longer. Do the drum pumps come with discharge hose? Yes - as an accessory. 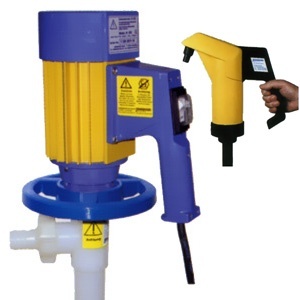 Discharge hose is an extra accessory and Global Pumps offers a discharge hose and hand nozzle set making it easy to transfer into other containers. Standard sets come with 2 metre hose and a nozzle. 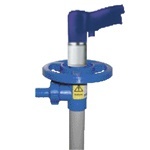 Yes - Global Pumps stocks a large range of drum pumps and accessories ready for immediate delivery. Different freight services are available from standard road to overnight air freight. What materials are the drum pumps available in? The most common and stocked materials are Polypropylene, PVDF and 316 Stainless Steel. What does Global Pumps customers say about these pumps? We have been using the drum pump for transfer of Lexaine in manufacturing most successfully. Our product makers have taken readily to its use and we are all very pleased with the improvement the pump has brought to our process.